Hi ChocolateLab! Starting off the interview, I would like to ask you how you got into Skycoin and what you are currently working on? – I started as a crypto enthusiast writing articles on crypto and posting them on Medium under my name. Because of my article, I was then recruited to join a marketing organisation specifically focused on cryptos. My organisation was then contacted by Skycoin to help with marketing and that’s actually how I first heard of Skycoin. As a result, I began to go down the Skycoin rabbit hole and completely fell in love with the vision. It’s no longer just work at this point and I truly want to see a peer to peer decentralised internet to become a reality. We are currently working on the social media marketing aspects for Skycoin, explaining the Skycoin vision and keeping people informed with the development progress on Medium, Twitter, Reddit and Skyblog are part of our responsibilities. Hi ChocolateLab! Starting off the interview, I would like to ask you how you got into Skycoin and what you are currently working on? I started as a crypto enthusiast writing articles on crypto and posting them on Medium under my name. Because of my article, I was then recruited to join a marketing organisation specifically focused on cryptos. My organisation was then contacted by Skycoin to help with marketing and that’s actually how I first heard of Skycoin. As a result, I began to go down the Skycoin rabbit hole and completely fell in love with the vision. It’s no longer just work at this point and I truly want to see a peer to peer decentralised internet to become a reality. We are currently working on the social media marketing aspects for Skycoin, explaining the Skycoin vision and keeping people informed with the development progress on Medium, Twitter, Reddit and Skyblog are part of our responsibilities. On which social media platforms is Skycoin most active and why? Skycoin is probably most active on Telegram. I think the most important activity is on the Skywug forum and the Skywire Telegram. 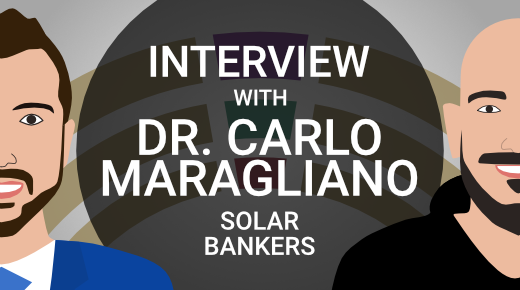 They are the actual builders and users of the network instead of just speculators. They are the most active platforms because that’s where actual builders and users hang out. While Reddit has a massive user base, it is mostly filled with speculators. Unfortunately our perception on Reddit is so far gone and demonised to the point where it’s very difficult to get traffic there. Can you tell us a bit more about Skycoin’s growth on social media during recent months? The problem with crypto social media stats is that it is highly obfuscated by the general market sentiment. Everything was getting massive traffic during bullish time and now in the bear market everything is much quieter. This isn’t just true for Skycoin but for all other coins too. However overall the trajectory is going up at a steady and consistent rate. What do you think about the Skycoin community? How satisfied are you with their engagement on social media? I love the devs and DIY builders part of the Skycoin community. I always enjoy seeing a new DIY miner. Of course the engagement is never going to be enough and we always would like more help. We need more people like you, Christian! What plans does the social media team have to spread the word about Skycoin and grow public awareness about the project? The main plan is to make the information around Skycoin and the vision as easy as possible to access. The recent article on CX was an example of that and we have one on CXO very soon. The ecosystem is simply too wide and technical for most laymen so it’s up to us to make the information as digestible as possible. Synth’s interviews are fantastic but realistically not many people will spend hours upon hours listening to Synth rant about random topics. We are going to publish our most comprehensive article to date on cyberbalkanization and Skywire. Essentially formalising the macro-thesis behind why cyberbalkanization is happening and how Skywire is essential in our fight to protect the borderless, censorship resistant and neutral internet. It is an epic 4 parts series where part 1 alone is over 3000 words. After a lot of research for this series, I think this might even be the most comprehensive article on cyberbalkanization on the entire web period. The original BTC white paper was very concise and the vision resonated with many people right away. Hopefully this series will effectively do the same thing but for Cyberbalkanization instead. We also can’t forget to mention the people on the ground going to conferences non-stop around the world. We recently attended the ChainXChange conference in Vegas and now Hamburg and Melbourne. It’s actually getting difficult to keep track of. That’s amazing! Let’s say somebody likes Skycoin and wants to get more engaged within the community. What would you recommend her/him to do? Build a DIY miner, no matter how big or small. Document your building process and show the world. Tell your friends, family and neighbours about it. Understand and talk about cyberbalkanization. Start organising a MESH net group locally. And many people already started doing that if we analyze the growth of Skywire nodes during the last few months! Thanks so much for doing this interview! 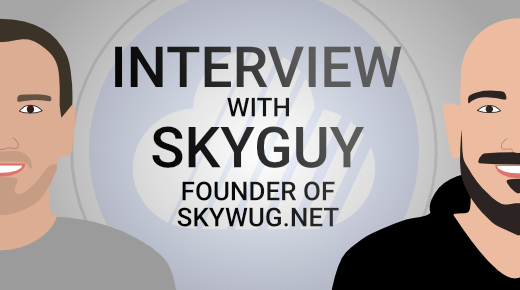 I am happy to have Skyguy here, who is the founder of skywug.net! Hello and thanks for doing this interview! So, first of all, can you tell us a bit about your background and what you have been doing before you got into Skycoin? I am happy to have Skyguy here, who is the founder of skywug.net! Hello and thanks for doing this interview! Hi Chris. Thanks for the interview and the amazing work you’ve done for the SKY community. Your infographics are professional and extremely helpful for all newcomers to the Skycoin project! Thanks so much! So, first of all, can you tell us a bit about your background and what you have been doing before you got into Skycoin? My background is in the financial markets. I assist electronic traders by connecting them to counterparts and exchanges around the world. I love technology and often use Google to research and advance my understanding of new gadgets, tech and IOT. Working in the financial markets put me off electronic trading until a new joiner introduced us to the wonderful world of cryptocurrencies. I spent some time researching blockchain technology and bought a small amount of bitcoin (+-$200). I didn’t like the idea of owning a small percentage of a whole coin so started researching the alt currencies. NEO was my next purchase before I stumbled upon a youtube video by Keith Wareing. In his video, Keith explained why he thought Skycoin was a sleeping giant. I then watched a Synth interview and was really impressed with his knowledge of blockchain and the world in general. I immediately sold all my NEO and bought into Skycoin. We all know you as the creator of Skywug. Why did you create the forum and what was the creation process like? After investing in Skycoin, I joined the Telegram chat (about 1500 members then) and started asking some questions about the Skywire project. I’m actively involved in a local Wireless User Group so was very interested in what Skywire was trying to achieve. A telegram user, Qholloi, noticed that I was based in South Africa and sent me a direct message about the project. He suggested we start a forum to assist the growing community. I got to work and two days later skywug.net was born. How is the forum doing since its inception? Do you have statistics about the usage? Which topics are mostly talked about right now? Creating a forum is easy, getting members to join is the real challenge. The Field of Dreams movie helped “If you build it, they will come”, so I spent the next few weeks adding content from all the available sources. A lot of it was copy/paste from the original skycoin.net website. I then created a few HowTo guides and referenced them in the Telegram channels. The feedback was great and people started joining as more and more content was added. We currently have 277 threads, 1881 posts, and 937 registered members. The most talked about topics are Skywire and DIY mining setups. Which topics would you like to see being covered on Skywug in the future? Which aspects of the forum would you like to improve? I would like to see more wireless community topics being discussed. There are numerous groups in the different countries but they are not very active currently due to mainnet being in test phase. Once live, I imagine there will be a lot more active community discussions. You are also working on something related to the meshnet, which is not public yet. Can you give us some insights on that? I’m currently testing a web-based tool that will help communities build and manage their private wireless networks. IP address allocation, node / access point plotting, line of sight checks, and google earth views of terrain, etc. will be available with this tool. Anyone wanting to join a local mesh network will be able to scan their local area and locate an access point that is free from any obstructions (walls, trees, buildings, etc). The tool I’m working on interfaces directly with the skywug forum. Release date to be confirmed. Some test users have concerns about the limited security features which I’m hoping to improve. It’s amazing to see the meshnet already being worked on, even though the testnet just launched! Thank you also for the great work with skywug.net! I am convinced that the community will grow once the meshnet is live. Today, I have Erich Kästner with me, who is the lead of KittyCash! KittyCash is the first game on Skycoin Fiber, that utilizes non-fungible assets. So, welcome Erich! 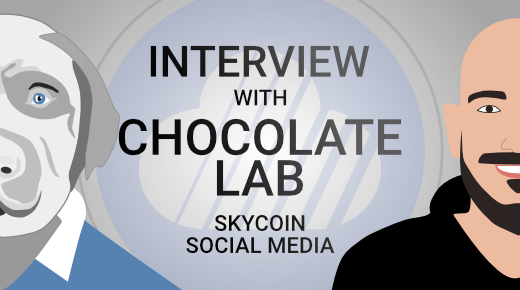 Let’s start off this interview with your background and what you have been doing before you got into Skycoin. The first interview in the series ‘interviews with the Skycoin team’ has been a success! 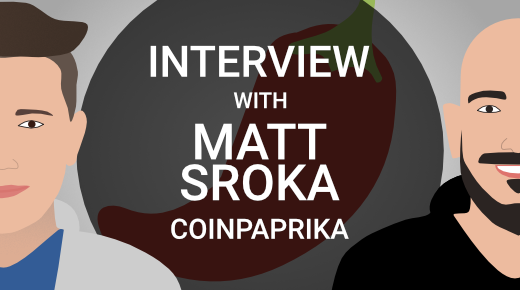 The community liked it and therefore we are continuing with more interviews. 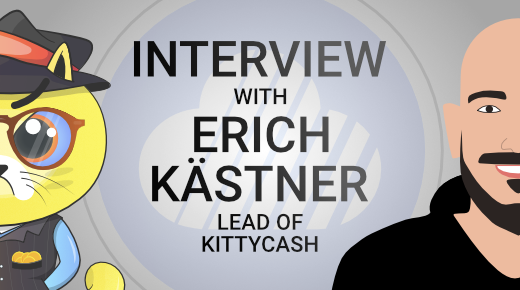 Erich Kästner from KittyCash has agreed to do the second interview in this series. Hello Erich! First of all, can you tell us a bit about your background and what you have been doing before you got into Skycoin? My background is in the field of economics and politics, which I studied. I don’t have extensive knowledge of programming but have been aware of Bitcoin for a longer time frame. During last year, my interest in cryptocurrencies grew because of its tremendous economic potential on one side, and its possibilities to disrupt politics on the other side. In my opinion, cryptocurrencies could facilitate decentralized governments with its ability to bypass centralized banking systems. When and how did you get into Skycoin? What have you been working on in the past and what is your current area of responsibility? About half a year ago in December, I was at a roadshow in China, where a lot of Fiber projects were present. It was during the time were CryptoKitties had gained massive popularity. I met Synth at this roadshow and he was keen to see a project like CryptoKitties on Skycoin. So I wrote with some people on Telegram and we organized a small community to work on KittyCash. We developed a website and hired a designer, who created a few digital cats. At first, we saw the project as a parody to CryptoKitties, but the tremendous interest on KittyCash in the Skycoin community motivated us to professionalize the development. Therefore, we started with the selling of legendary cats to ensure a ground funding for the project. Since then, we hired developers and are working on bringing the project forward. My personal tasks are mostly organization, internal communication and establishing strategical directions of KittyCash. KittyCash recently released their alpha version. Can you take us through the development process of that? So, we asked ourselves, how we can roll this out. At first, we had to create an infrastructure for the project. We need a different infrastructure than tokens, since we are introducing non-fungible assets to Skycoin Fiber. In KittyCash, you own a specific cat that is unique, while in Skycoin you own a number of coins, but it doesn’t matter which Skycoin you own specifically. To do that, we need a new set of functions. We will introduce life and death of kitties, a teller service to exchange a kitty for a set of currencies, a database with names for the kittens and a breeding algorithm. While all of this needs lots of development time, we decided to roll out the project in smaller steps. That is why we now released the alpha wallet, where users can already receive kitties and send them to others. We will incrementally introduce new functions. How does the general roadmap for KittyCash look like? I would divide the KittyCash roadmap in four different steps. Step 1 is the release of the alpha wallet, which goes along with several updates for the wallet. This step also includes assigning names to each kitty. Step 2 is the breeding functionality, that allows you to breed a new kitty with two already existing kitties. Step 3 is the inventory, which will allow you to feed your kitties and equip them with in-game items. This will be a fundamental change to KittyCash, since we will introduce a health point system for kitties alongside the feeding functionality, which means that users need to feed their kitties or otherwise their health points will decrease. Lower health points mean, that the kitties will be breeding inefficiently or die at the worst, if their health points are at zero. The health point system will prevent users from hoarding 10k cats in their wallets. Step 4 will be a marketplace, where you can buy/sell kitties or lend kitties for breeding. The marketplace is also interesting, because it allows us to monetize not only kitties, but also in-game items. It will be interesting to see, if KittyCash in-game items will have a market value and what it will be at. These four steps are our general roadmap. Speaking about the longer term, we are planning to develop mini games in CX, where you can use the kitties from your wallet as an avatar. These mini games will allow you to win KittyCash in-game items (food and equipment). 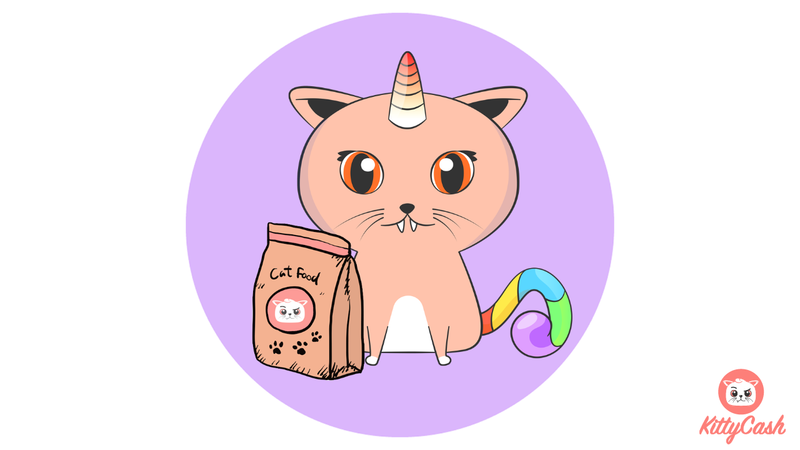 A prototype for our mini games can be already found on the KittyCash website. Digital assets on the blockchain could be a huge thing in the future. When do you plan to integrate KittyCash transactions on a blockchain and what challenges are associated with that? After the previously mentioned four steps of our general roadmap are finished, we want to put KittyCash on the blockchain. However, as of right now we cannot foresee, how many resources we need to spend on that. 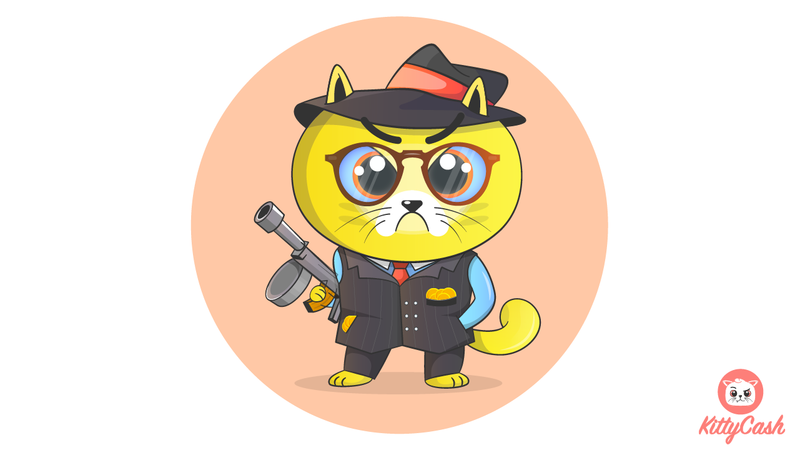 We wanted to create the game first, before we put everything on the blockchain, to see, whether there is an interest in KittyCash by the community. Finishing the game first and then analyzing what we need to modify to put it on the blockchain is also easier for us, because we can cut out the bugs first. To migrate KittyCash on the blockchain, we also need Skycoin core developers, who are busy right now with other tasks. I am interested to know more about the work environment of KittyCash. How many people are working on KittyCash? Who are the team members and what is their background? How do the team members interact with each other? 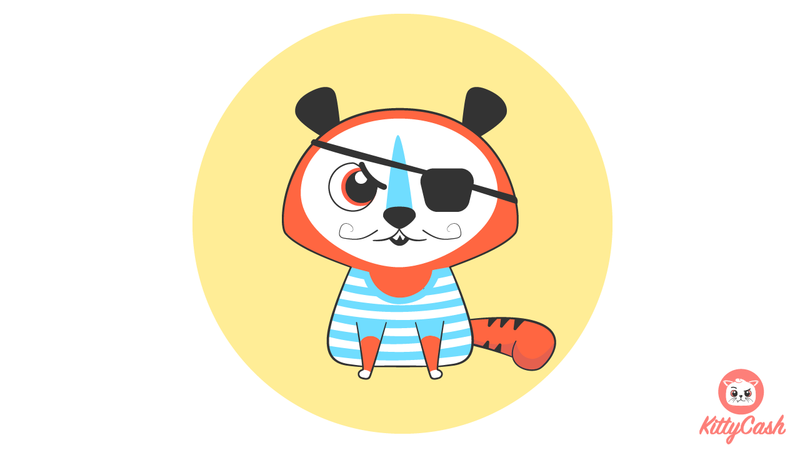 Currently there are 3 developers working on KittyCash, although we had a maximum of five developers in the past. The amount of developers varies to the extent of how many people Skycoin needs currently to work on high-priority projects. We also have two very talented graphic designers. I am mostly working on managing the project and communicating with everybody. Our team is spread all over the world, from Canada to New Zealand. Everybody is working at home, we are not working in one office. Therefore, it is important for me to talk to each team member at least once per day. Communication is also good for discussing and solving certain challenges, that come up when working on a specific task. As communication tools, we are using Zoom, Discord and Telegram. To me, it would be better if all employees of KittyCash would be in one office, but on the other side, the current decentralized work environment adds more flexibility. However, I try to meet the team members as much as possible and traveled to different European countries and China. Generally speaking, in what way do you see applications like KittyCash adding value to the Skycoin ecosystem? KittyCash is a proof of concept. Gamers should be able to control their in-game items, therefore it is important to put those on the blockchain. In World of Warcraft for example, in-game items can be traded for a lot of money, so it is good if the assets are not controlled by a central entity. It is also a signal to other projects, that if they want to implement non-fungible assets on Skycoin Fiber, they can see that it is possible, because KittyCash has already done it. Another great point of Kitty Cash in the Skycoin ecosystem is, that it should give a value to Coin Hours. As soon as Coin Hours are independently transferable, we plan to enable KittyCash in-game items to be bought in exchange for Coin Hours. It was great to receive detailed information on the current state and progress of KittyCash! Thank you for doing this interview! 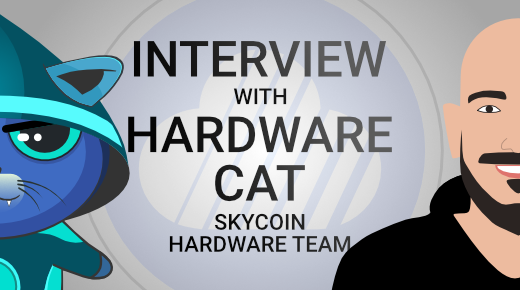 Hardware Cat has agreed to do the first interview in this series. Welcome, I appreciate to have you here! First of all, can you tell us a bit about your background and what you have been doing before you got into Skycoin? The scope of the Skycoin project is huge. It is a whole ecosystem, that includes the currency Skycoin, the platform Fiber, the decentralized internet Skywire, its own hardware production and a handful of other sections. With such a huge scope, there are many people working on the project. In this new series, I want to bring the public closer to the Skycoin team and interview contributors to the project. I discovered the world of cryptocurrencies about two years ago, Ethereum was at 12 USD at that point. It was a time when lots of new tokens got released, most of them were ERC-20 tokens. 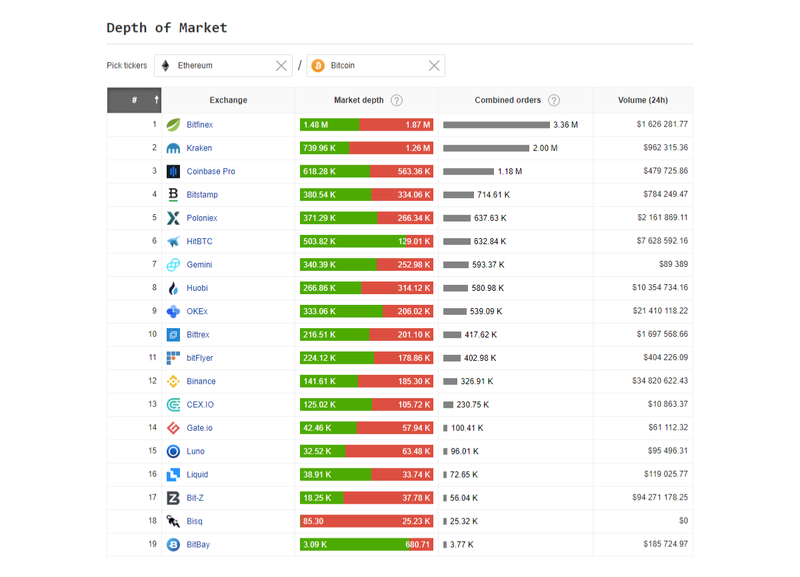 So I went through each of the top 300 cryptocurrencies and tried to grasp what each of them was doing. While it took hours to a maximum of a couple of days to figure out, what the tokens were aiming to do, this did not apply to Skycoin. It was hard to wrap my mind around everything that Skycoin was doing, because the project is so huge. So, I went into the Telegram channel and asked multiple questions, until I had fully understood it. It was great to see, that the developers were available to answer many questions, you don’t see that in a lot of other projects. Therefore, I got really amazed by Skycoin and then asked the team, how I can participate. So, when did you start contributing to the Skycoin ecosystem and on which parts of the project have you been working on in the past? About half a year ago, I started to get into the project. I participated in a few meetups, had a brief look into marketing but then figured out, that working on the tech behind Skycoin is the most interesting for me. At the beginning of this year, I purchased one of the first 50 Skyminers and started to build different DIY miners to see, which ones bring the project forward. I also did research on routers and antennas, to find the ones that suit the best for Skycoin. In which parts of Skycoin are you currently involved and what will you be working on in the next months? Right now, we are working on different versions of the hardware wallet. One of them is a modified Trezor with complete new software, which was presented at the Skycoin conference in Shanghai in April. We are currently testing it, optimizing it and developing a case for it. We are also working on a redesign of the antenna, because our previous design approach got too expensive for mass production. The current design of the antenna includes an engine at the bottom and the top, which enables an antenna to move in every possible direction. 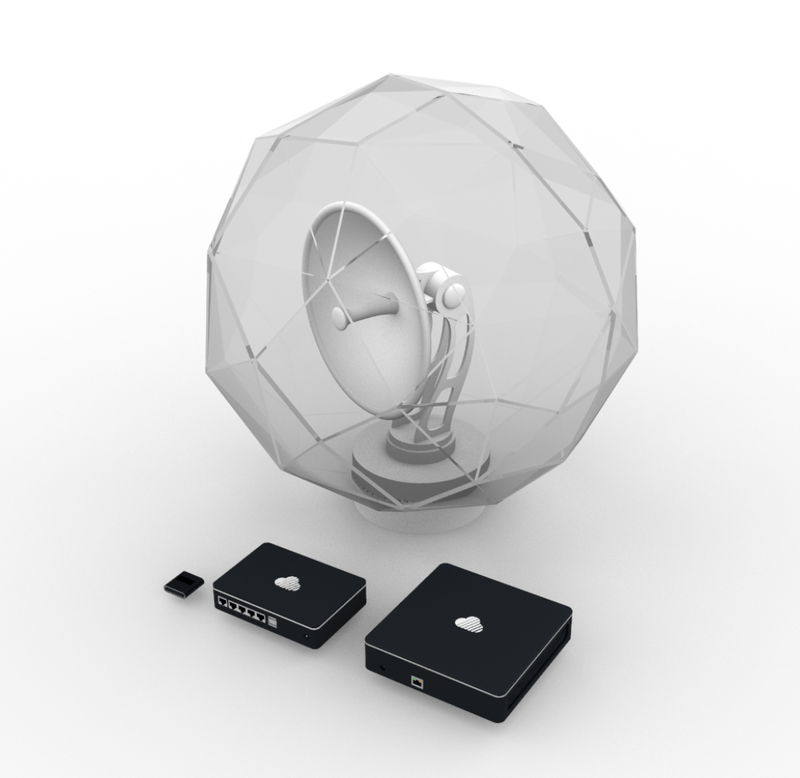 This allows users to position antennas at several locations. The antenna itself is surrounded by a protective cover. We have developed a prototype of that antenna design and are now testing the frequencies. 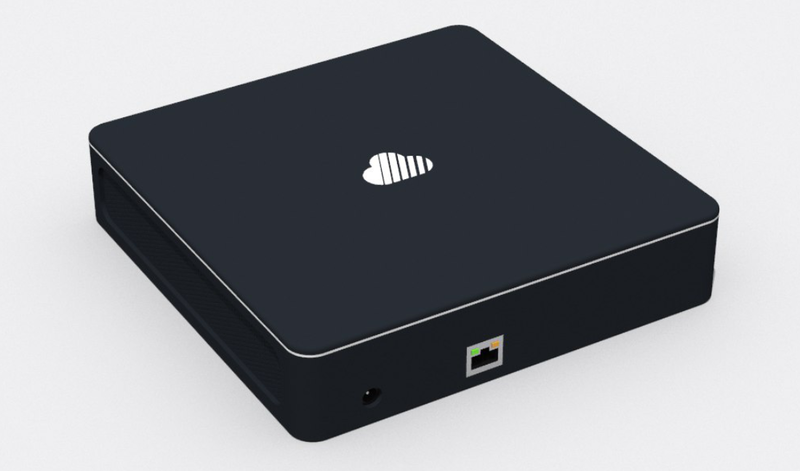 Furthermore, we are developing a Skywire router, which will automatically direct all of a user’s network traffic using a VPN, once the router is plugged into the Skyminer. 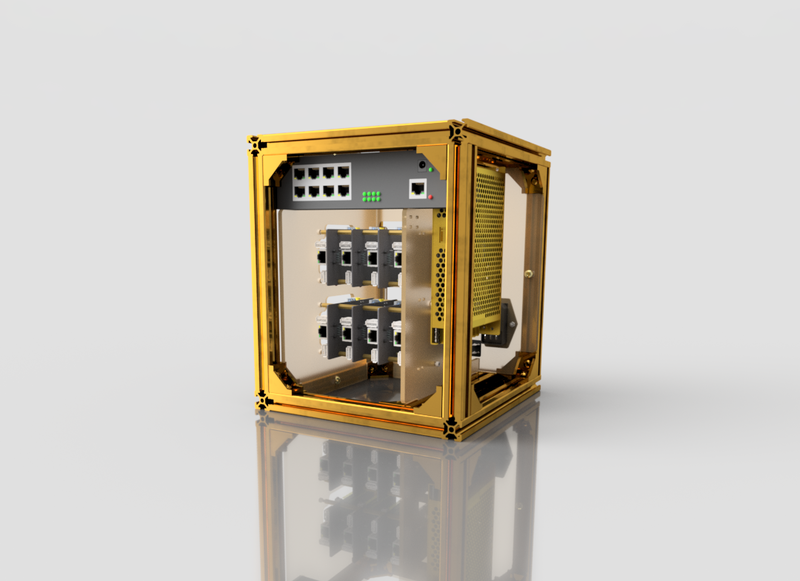 And last but not least, we have also been working on the gold plated Skyminer that is given away as a price in the Binance trading competition. I want to get more into detail on a specific piece of hardware. The most read article on my website is the one about the Pine64 miner with Sopine modules. In his most recent interview with Crypto Rich, Synth stated that Skycoin will be using Sopine A64 modules in future Skyminers. Can you tell us a bit more about that? There is the current setup with the Pine64 clusterboard and Sopine A64 modules plugged into it and we are working on a really nice case for that. However, we are still in the process of deciding, whether we want to use the official Pine64 clusterboard or if we are designing a custom board. We might even develop our own custom board with our own custom modules plugged into it, that might be using the A64 chip. We will do more research on that. Speaking about the hardware team in general, how many people are working there right now? How are the teams structured? There is a project management, that manages the people working full-time, as well as the external service providers and freelancers. There are different teams working on different projects. Examples for different tasks that specific teams are working on are: Designing the software for hardware wallets, building custom boards, developing antennas, creating prototypes for 3d printers or testing all the new developments. The teams are connected to each other, there is a lot of interaction between different team members. I would estimate, that there are 30-40 people working on Skycoin’s hardware projects right now. 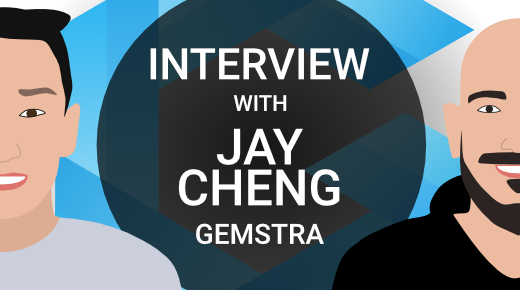 Prior to this interview, you told me that you are visiting several blockchain conferences with Skycoin. In which conferences are you participating and in what way are you representing Skycoin there? The first one is the CoinAgenda in Singapore. I will be at the Skycoin booth presenting Skycoin, giving away merchandise, demonstrating the Skyminer and generally talk to people about Skycoin. After that I will be heading to Amsterdam to the Blockchain Expo. I am really looking forward to that one, because many big companies are attending it. I am aiming to get into conversation with them to show them the various parts of Skycoin’s ecosystem. That’s great! Thanks so much for doing this interview and all the insight looks you gave us about the work of the hardware team!